The main concern for every business owner is, how to drive customers to their business. For this, we should use different marketing mediums. We live in mobile era, we must use power of mobile to drive more customers & business. Text messaging or SMS Marketing is one of the most useful mobile marketing tool. It is the best way to help your business communicate with your target audience, It is a direct way to share a special offer or company information with large group of people easily from an online platform. 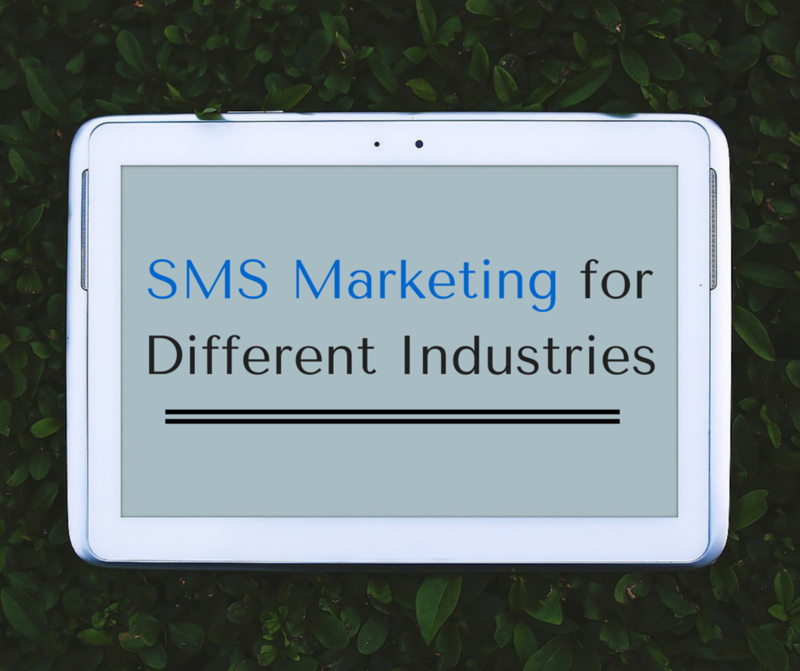 For more insight of SMS and Mobile Marketing- Read Here. SMS marketing offers a lot of opportunity like improve customer service, attract genuine leads & potential customers, and build the brand. Nearly every industry can use the power of this marketing tool. In this article, we’ll discuss about how different industries can benefit from using text messaging. SMS marketing & retail industry are made for each other, SMS is the perfect opportunity to increase sales. It is one of the best medium to create awareness around your brand, products & services. SMS marketing can be very effective to send out bulk message to your subscribers about a special offer, & Sale that you have on in store. It is more direct and personal way to reach your customers, & communicate with them through text messaging. With SMS you can send text offers like personalized coupon codes or Creating a generic discount code to your subscribers. Average response time for text messages is 90 seconds. SMS marketing offers many opportunities for education industry. It is a great way to reach out to students. Education Institute use this service in many ways like. Restaurants & hotels are among biggest users of SMS marketing. With this, you can make your customers feel special. Finance sector, such as banks, insurance companies and loan providers, are using SMS marketing to keep in contact with both prospective and existing clients. It is one of the most powerful channel for travel industry. With text messages, you can approach your customers & send out messages like holiday season offers. From this way, you can get people who will arrive to you to book holidays. Text messaging for the real estate is one of the fastest growing applications of mobile marketing. It is the most effective medium between broker or real estate agency and the potential buyer. If you have any suggestions and additional information about text message marketing or mobile marketing, please share with us in comment box below!